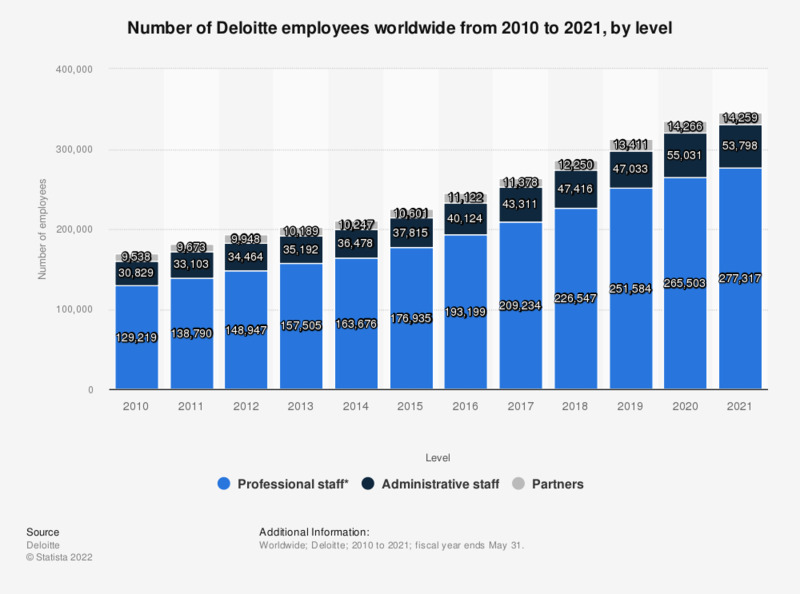 This statistic shows the number of Deloitte employees worldwide from 2010 to 2018, by level. Deloitte employed 47,416 members of staff in administrative roles in 2018. Deloitte is one of the world's four leading accountancy firms (along with PwC, EY, and KPMG). It is headquartered in New York City. The company's services are audit, consulting, financial advisory, tax, and enterprise risk. * Professional staff is defined as individuals spending at least 50% of their time serving clients.